Price advertised for Service A/Service B includes all factory-required components. Please refer to your maintenance booklet for the complete list of factory-required services and details on the specific intervals for your vehicle’s year and model (for model year 2009-newer). Excludes taxes and shop supplies. Price here based on a 2013 C 250 4MATIC®. 10% Discount off battery installation. Receive 10% off any new battery installation on your Mercedes-Benz. See advisor for details. Not valid with any other offer. Does not include taxes. Free brake inspection and an additional 5% off any recommended work. Free brake inspection, this is a visual brake inspection. 5% off any additional recommended brake work. See client advisor for details. Not valid with any other offer. Does not include taxes. Free Check Engine Light Readout with any A or B service. Any additional needed diagnosis starts at $69.95. Free check engine light reading with any A or B service. Any diagnostic is additional and starts at $69.95 per hour. See advisor for details. Not valid with any other offer. Does not include taxes. Free check engine light reading with any A or B service. Any diagnostic is additional and starts at $69.95 per hour. See advisor for details. Not valid with any other offer. Does not include taxes. Price advertised for Service A/Service B includes all factory-required components. Please refer to your maintenance booklet for the complete list of factory-required services and details on the specific intervals for your vehicle’s year and model. MY09-newer. 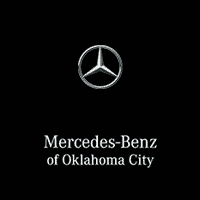 Check in to Mercedes-Benz of Oklahoma City and receive a 10% discount off your service visit. Not valid with other coupons or discounts. Show client advisor your phone after checking in to receive discount. Maximum discount $250. Mercedes-Benz Coolant Flush $29 Off. Original price $224.95. Any additional repairs are not included. See advisor for details. Not valid with any other offer. Does not include taxes. Includes cleaning and deodorizing of A/C and ventilation system. Additional services and repairs are not included. See advisor for details. Not valid with any other offer. Does not include taxes. Normally $199.95, discounted to $169.95. No cash value. See advisor for details. Not valid with other offers. Does not include taxes. Additional services and repairs are not included. See advisor for details. Not valid with any other offer. Does not include taxes. No cash value.